A beauiful red rose bush blooms beneath a villa window near the village of Pont du Loup in the Alpes Maritimes region of Provence, France. 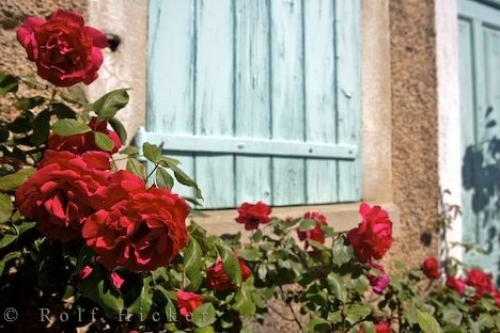 Shutter on a villa window and door surrounded by flowers near Ponte du Loup, Alpes Maritimes, Provence, France, Europe. on a villa near Pont du Loup, Provence, France.